Aqua can be natively deployed in an openshift environment by deploying pods, services and Daemonsets. 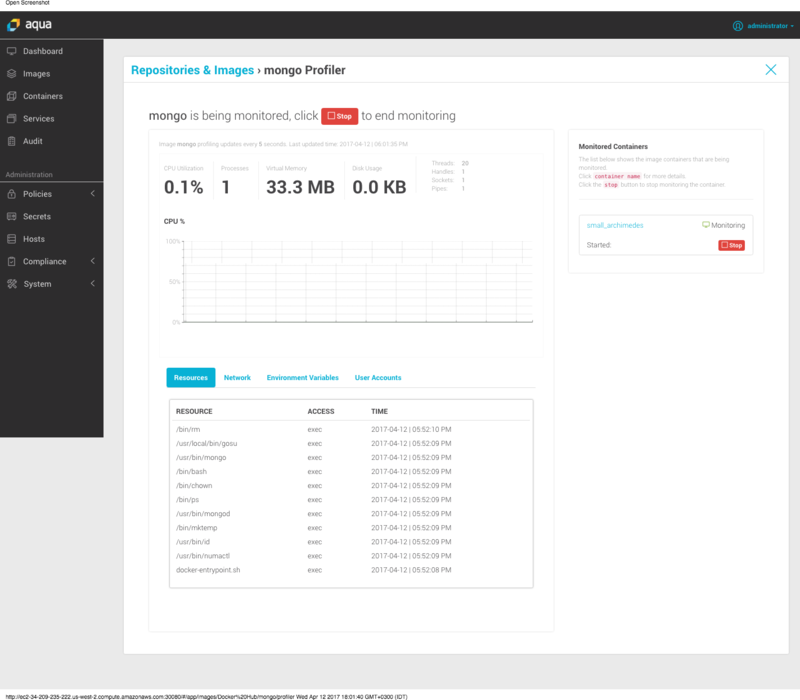 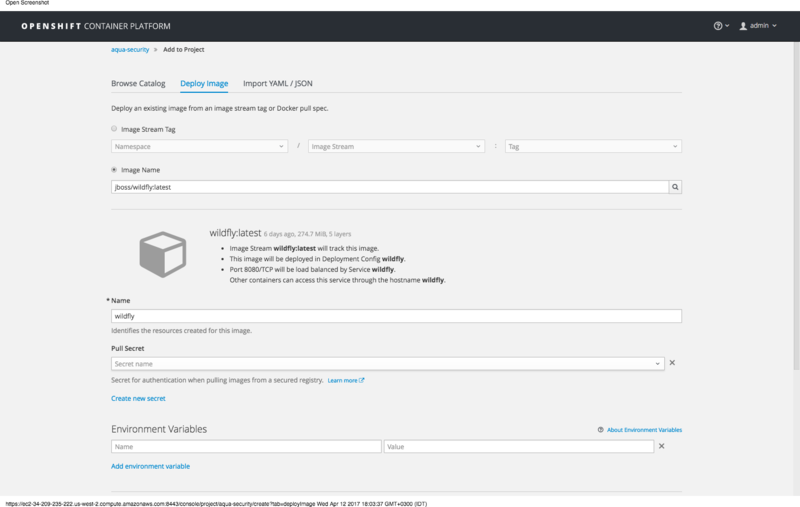 With Aqua, you can control which images will be allowed run in your Openshift environment by defining image assurance policies. These policies can define the security level that containers running in Openshift environment should have. 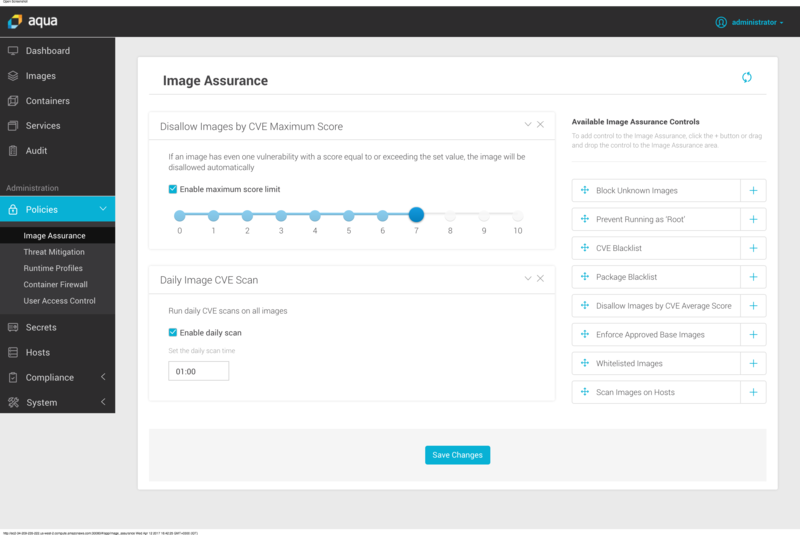 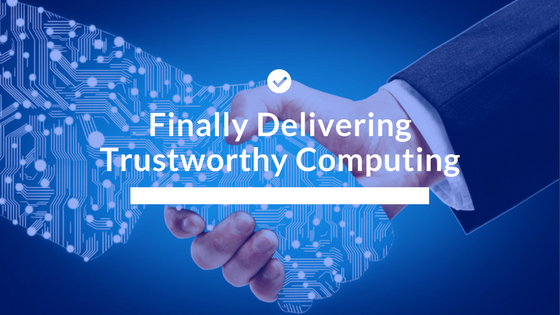 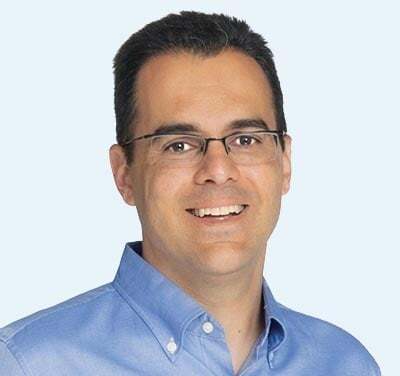 The outcome is that all images in the OpenShift environment will be assessed for security quality, which includes scanning them for known vulnerabilities, insecure configurations, and embedded secrets. 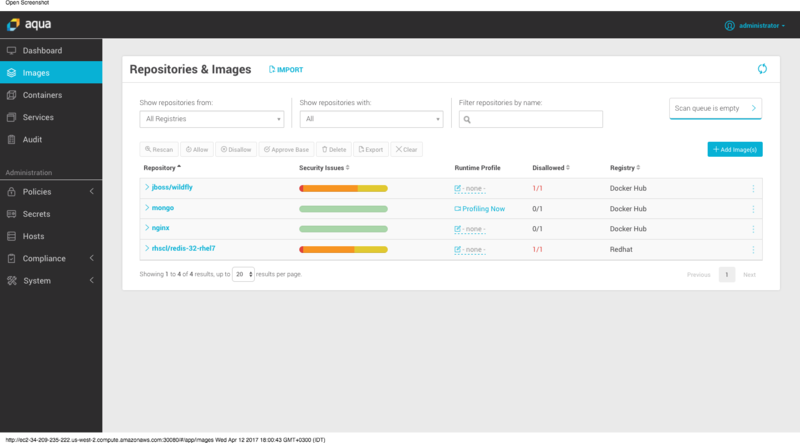 If an image does not pass the security assessment then it will be marked as “disallowed” for running, and will not be able to run on the cluster. For example, trying to run “jboss/wildfly” image on the OpenShift cluster will fail as the image vulnerability score is too high. 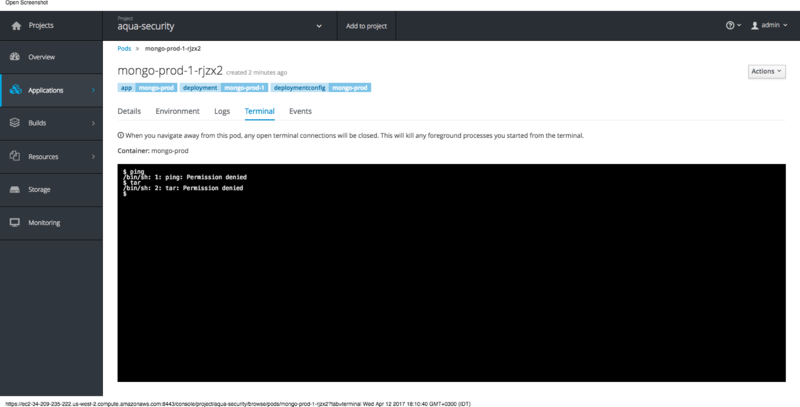 As you can see, if the container tries to run a process that was not allowed under the profile, that actions will be blocked and the event will be logged. 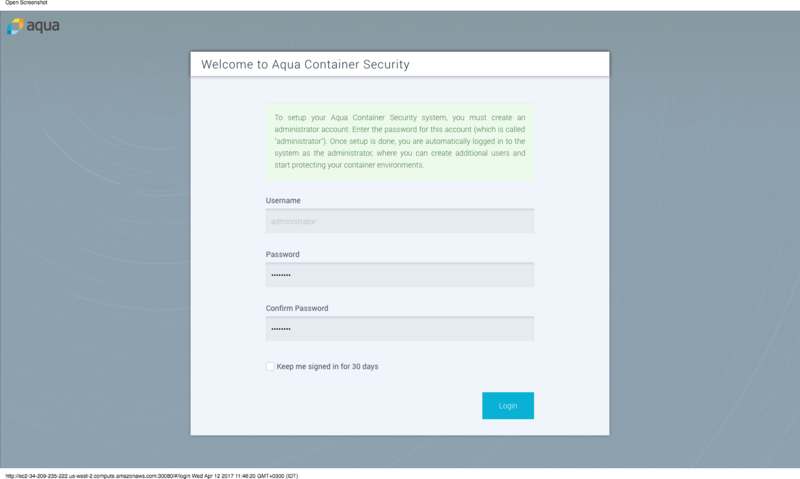 Access our resource center, the Aqua page on OpenShift Hub, or ask us for a demo!